You owe it to yourself to live each day with more passion, adventure and joy. 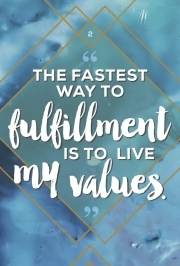 Bestselling author, coach and speaker, Shannon Kaiser, shares fifty-six inspirational mantras along with daily motivation to help you align with your best self and “play with the world” at the same time. 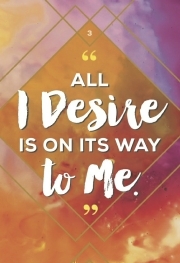 These mantras will help you tune in to the flow of the universe, show yourself compassion when times get tough and break free from emotional restraints. 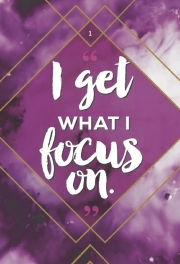 This dynamic deck is paired with a guidebook that will help you meditate on the truths contained within each card and live each day with intention. 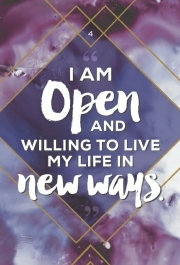 Make these mantras part of your daily happiness routine and they will help you find peace with your past, stay grounded in the here and now and look forward to a joy-filled future. 56 full col cards & 144-page guidebook.